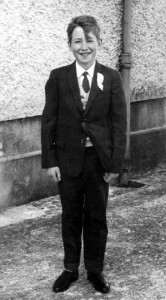 Paddy O’Brien was born Patrick Finbar O’Brien on November 6th 1954 in Aglish, County Waterford in the Republic of Ireland. He was the 5th and youngest child of Elizabeth and John O’Brien. Paddy knew from an early age that his vocation in life was to be a singer, and his musical influences from the early years were Marty Robbins and Slim Whitman. His father also gave him a lot of encouragement as he too used to sing in local pubs. Paddy’s upbringing was one of simplicity and humbleness, a trait he still retains to this day. He worked on farms at weekends and during school holidays and listened to country music on a dry battery radio. He taught himself to yodel by singing into a big steel 600-gallon diesel tank, which produced a perfect echo across the valley when the diesel was down to a certain level. Slim Whitman’s “Indian Love Call” was the first song he perfected, and yodelling remains one of Paddy’s trademarks to this day. Paddy’s first job at the age of 16 was in a bacon factory in Cappoquin, which almost ended his singing ambition before it had begun because an almost fatal motorbike accident put him close to death many times. But thankfully he survived, and in 1972 Paddy formed a group called “The Strangers” and played mainly the local scene. After a while the group changed their name to “The Top Four”. In 1979 the bacon factory closed due to the economic climate, and Paddy formed his own meat company with a friend from the bacon factory and called it “West Waterford Foods”. But his heart still lay in music, and he had now formed another group called “Telstar”. The original guys from “The Top Four” were still with him with the addition of a keyboard player. But by 1980 the band was sadly disbanded due to the pressures and workload. In 1981 Paddy had another bad road traffic accident, which this time caused horrific injuries, and as a result of these his heart stopped for 18 seconds. Electric shock treatment started it beating again, and once more Paddy defied death. With plenty of time whilst recovering to think about the music business again, and encouragement from the guys in “Telstar”, Paddy decided to give it one more try. West Waterford Foods due to the recent events had to close yet again, but Paddy continued the meat business from a shed in his back garden whilst reforming “Telstar”. In 1983 Paddy’s big break came when he made his first cassette called “Easy Listening”, a collection of country and middle of the road. A second cassette was made in 1984 called “Mem’ries” and being plugged by the pirate radio stations all over Ireland. 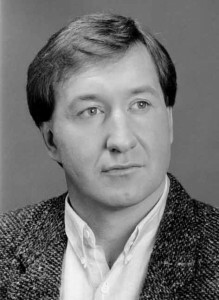 It was eventually picked up by mainstream radio, and after being plugged by a national radio presenter by the name of Paschal Mooney, launched Paddy into his musical career. In 1986 his third cassette was launched, called “Favourites”, and he was now well on his way to becoming the country singer he is today. He formed a new band and called them “The Paddy O’Brien Band”, and in 1988 won the “Gold Star Award” in Ireland after coming second the previous year, which consequently took him on to represent Ireland in the national finals in Holland. A trip to Nashville in 1989 meant Paddy was now establishing himself on the country music scene with an extremely loyal following, and his albums were selling very well. 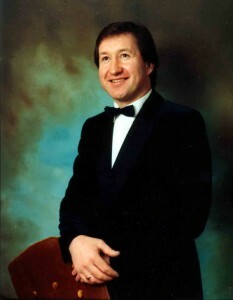 During 1990 Paddy had 4 country number 1’s in Ireland and many television appearances followed. 1990 saw him singing a tribute song which was inspired by Ireland’s participation in the World Cup and also during that year he released his first video. Paddy continued with his success until 1992 when a series of mishaps with his bandwagon and rising costs threw him into debt. His vocal chords started to give him problems, and not wanting to let people down, he began to drink heavily to relieve the pressures. Paddy was now on a slippery slope, and things just went from bad to worse, which caused many health problems including heart trouble. But in 1993 and after the release of probably his most successful album, “Golden Moments” which features Paddy’s most requested song of all time – “Never Grow Old”, and through sheer perseverance and courage, the tables turned for Paddy and his career started to pick up again. He overcame his drinking problem and his health started to improve along with his finances. Today Paddy is one of the most affable and humblest of men who remembers his roots and the people who helped him through the bad times, and through his values, virtues and strong faith remains an inspiration to us all.